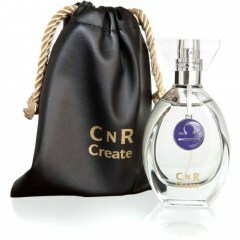 Libra (Damen) is a perfume by CnR Create for women and was released in 2008. The scent is powdery-floral. It is still in production. I purchased this sample last year, as was looking forward to perhaps having my own personal horoscope fragrance, that would be unique for me. I did test it once before, and was mystified by how quickly it faded. Put the tester away, and forgot about it. So, decided to try again today, as have all day to see how it develops. First of all, this is a pretty straight forward floral. It's like walking, very quickly through a small English Garden, and the Hyacinth and carnation are the notes I pick up right away, on application. Then, these tone down, not that they were loud to begin with, they are just there, and too faint for my liking). Then I smell the Narcissus and Immortelle..but once again, quite faint. I did get a whiff of the Melissa, but no vanilla, nor musk. And, after about 45 minutes, hardly a trace of anything. I re-applied 3 times, just to get the feel of it. This fragrance would suit someone who is almost afraid to wear perfume, and who likes a very calm type of floral. I was Quite upset, as really had my heart set on having a lovely Libra fragrance..Oh well..Thank goodness I didn't buy it blind, which I nearly did). Just to give you an idea of the price..this one in the ordinary bottle Libra woman)is about 90Euro's for 50 ml. And, the beautiful glass Flacon, with the refill container, is 500 Euro's. Yes, the glass flacon is fantastic, but not worth that huge price tag. Maybe it's because I'm used to fragrances with more personality, but this is like the shy wallflower at the back of the room, at the Saturday night dance. Write the first Review for Libra (Damen)!